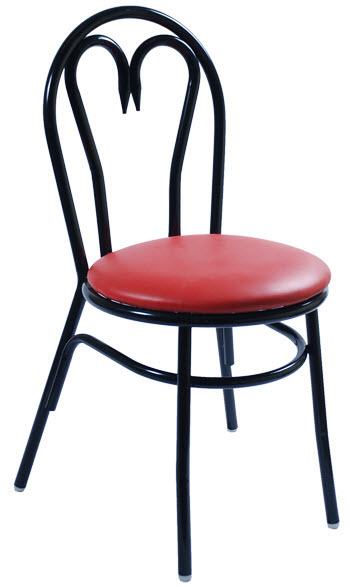 The Heart Metal chair is available with an upholstered vinyl or fabric seat. Comes standard with a glossy black frame and plastic glides. For additional information about our restaurant chairs call (888) 998-4222 .